The Democratic Alliance and Agang SA are expected to hold separate press conference in Johannesburg on Monday, with their proposed political union lasting less than a week. On Tuesday, Democratic Alliance leader Helen Zille announced that Agang SA leader Mamphela Ramphele would be her party's presidential candidate in the upcoming general elections. "Dr Ramphele reneged on the agreement that she stand as the DA's presidential candidate, and that Agang SA's branches, members and volunteers be incorporated into the DA," she said in a statement. "By going back on the deal, again, just five days after it was announced, Dr Ramphele has demonstrated - once and for all - that she cannot be trusted to see any project through to its conclusion." The DA met with Ramphele on Sunday. Zille said the DA had negotiated with Ramphele in good faith and that the Agang SA founder was playing a game of cat and mouse. However, confusion arose on Friday over Ramphele's joining the DA. 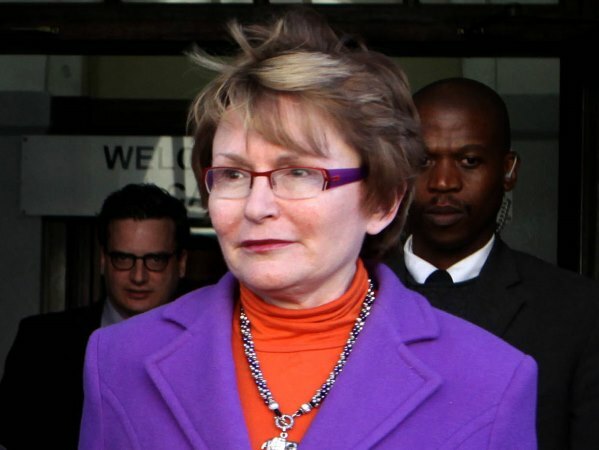 According to a joint statement issued by Ramphele and Zille on Friday, the Agang SA founder would be welcomed into the DA at a press conference in Johannesburg on Monday. However, following the joint statement being issued, a message from Ramphele was uploaded onto Agang SA's website. "You may have by now seen 'joint' statements issued by the Democratic Alliance in which it is claimed that I will be accepting DA membership on Monday," she said. "This is not true. Nor did I agree to any such statement." On Sunday, Zille said Ramphele had reneged on the agreement to be the Democratic Alliance's presidential candidate at a meeting on Sunday despite the party negotiating in good faith. I'm a 55 year old woman looking to meet men between the ages of 55 and 62.